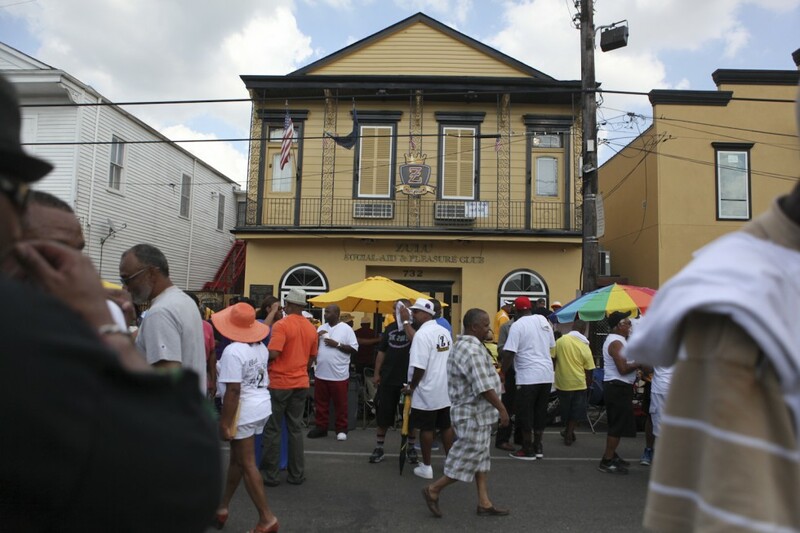 Revelers arrived early on Sunday morning at the black-and-gold headquarters of the Zulu Social Aid and Pleasure Club on North Broad Street in New Orleans to await the results of the 2015 election of the king and parade characters. Several DJs and bands played hip-hop and bounce for party-goers who hung out in the street, dancing and socializing. Vendors sold hot plates of fried catfish and boozy drinks.